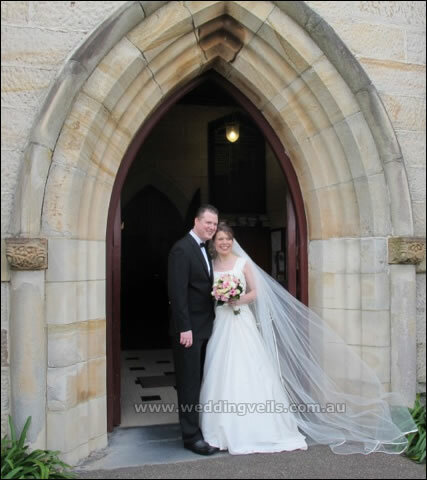 Thank you for the stunning Elegance Chapel 3 tier Ivory veil you made for my wedding. It was magnificent! 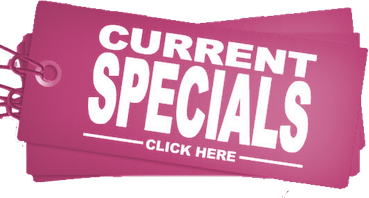 Your excellent service, value for money and fast delivery exceeded my expectations. Your range and products are far superior to others I saw. 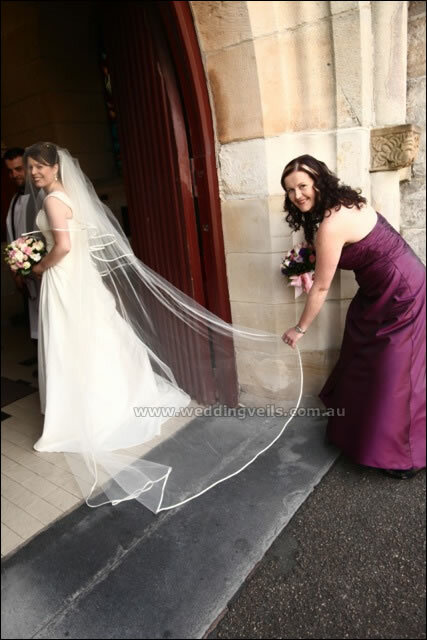 I recommend that future brides look no further than your website for an exceptional veil! 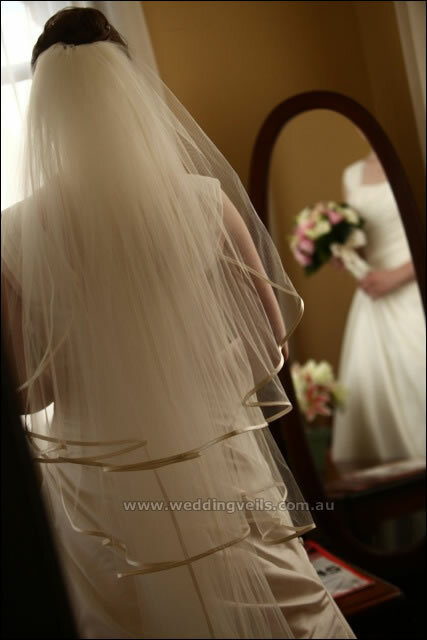 Thank you for making my veil. 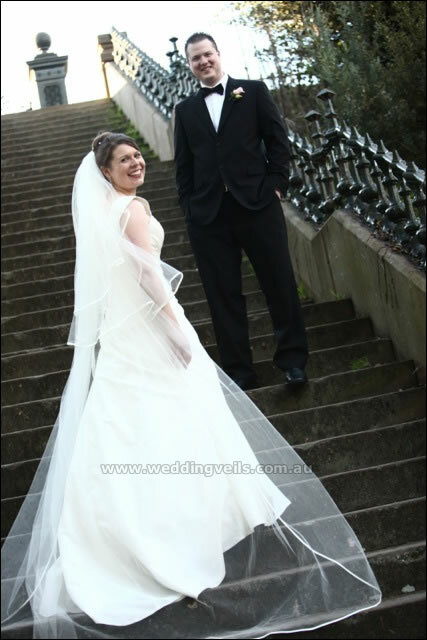 It is such a romantic and emotional reminder of our wedding and will be treasured for a lifetime. 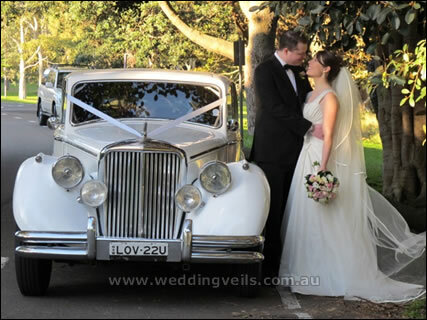 Crystal’s veil is Elegance Chapel 3T, a three tier veil in chapel length which features a detachable long tier. Crystal you look stunning!